More specifically, Darth Vader in The Empire Strikes Back. Our motivations shape the story of our lives. What are yours? Just in case you haven’t seen this 37-year-old movie, there be spoilers ahead! Towards the end of the First Act, he dispatches an armada of Star Destroyers into an asteroid field just to capture Han Solo, on the off-chance that Han might lead him to Luke. Thousands (I’m guessing) die in the process, and Vader even executes a couple of senior officers just to drill home the point that he is not f-cking around. We are all characters in a story that has not yet been written, and whether our tale ultimately has any value to the world depends in large part on the motivations that define us. When we die, no one will remember us for our material possessions, or where we went to school, or for the home in which we lived, or even for the mistakes that we made, but instead for the reasons that gave our live’s purpose. This is true in both fiction and in real life because the line between fiction and reality blurs with the passage of time. History is ultimately a story, one that hinges upon emotion more than fact. And it is not the facts of history that resonate with us so much as it is the motivations of historical figures. Napoleon’s ambition. Custer’s hubris. Churchill’s tenacity. Hitler’s vengeance. Without context, history is just a collection of dates. Captain Ahab, Sarah Connor, James Kirk, Macbeth, Katniss Everdeen — we remember these characters for what they tried to achieve, regardless of success. Ahab never bested the whale, but we still derive value from his story. In The Empire Strikes Back, Vader ultimately fails as well, but that doesn’t dilute the power of his narrative. If anything, it solidifies it. The point, here, is that motivation matters. Goals matter. They tell us where we are going, but they also tell us who we are. Goals articulate purpose. Goals shape the narrative. Goals are the things that separate us from a life less ordinary. Goals, in stories, are the things our subconscious latches onto. 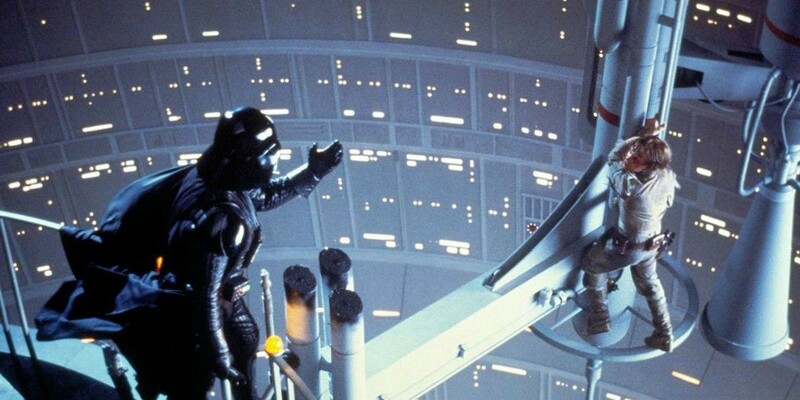 At almost 40 years old, The Empire Strikes Back easily trumps the schlock that passes for movies these days. The special effects are stunning. The characters it establishes like Boba Fett and Yoda are iconic. The screenplay (by Lawrence Kasdan who also wrote The Big Chill and Raiders of the Lost Ark) is perfection. And the story itself evokes actual, raw emotion. Remove the space battles and the wizardry, and Empire, at its core, is a story about conflict between father and son. Who can’t relate to that? base and pursued them across the galaxy. Senator Amidala, the former Queen of Naboo, is returning to the Galactic Senate to vote on the critical issue of creating an ARMY OF THE REPUBLIC to assist the overwhelmed Jedi…. Most people, after reading that. A few questions come to mind. Who are the hero and the villain of this story? Are their allegiances to the Senate or to the Separatists, and why? What is it about the Separatists that make them good or evil? What is it about the Senate that makes it good or evil? What is the consequence, if any, if the Separatists Separate? And finally, if there is a hero or a villain, what are their motivations? What is it that they are trying to achieve, and why? There is only one legitimate answer to these questions: we have absolutely no idea. Why? Because there isn’t a clearly defined hero, nor a clearly defined villain, and as a result, their motivations cannot be known. Yes, we can assume that war is imminent based on what the crawl tells us, but which side do we root for? What is it about the Separatists that deserves our enmity? The Colonists in the American Revolution were Separatists for crying out loud, so wanting to separate does not make one evil by definition. Hell, the Rebels in Star Wars are Separatists, come to think of it. Has George Lucas even watched the Original Trilogy? But I digress. This was a total non-issue in the Original Trilogy. In Episodes IV, V, and VI, Luke Skywalker is clearly the hero. Darth Vader is clearly the villain. Their motivations are obvious. The Empire is a totalitarian regime, as is evidenced by the annihilation of Alderaan and Vader’s torture of Princess Leia. The Rebels are clearly on the right side of history, as they attack the planet-killing Death Star only when it leaps into their system and tries to annihilate Yavin IV. Motivations, here, are crystal clear. This is just one of the reasons why the Prequels are reviled and the Original Trilogy is revered. In real life, the better terms to use are Protagonist and Antagonist, as Hero and Villain are a point of view. A Protagonist is simply the main character, while the Antagonist is the person or thing that opposes them. Macbeth, for example, was the villain, but he was the Protagonist of his story. His goal was to usurp the crown and his motivation was power, but he is still central to the story. And as is the case with fictional characters, our goals in real life define the nature of our story. You are the Protagonist as well. Who or what opposes you in the story that is your life? What is your conflict? What is it that defines you? If you find yourself living a life devoid of purpose, could it be that this answer evades you? If it does not, don’t you see how your own motivations shape the direction of your story? This, in essence, is the power of goals. Empire, on the other hand, boasts characters whose motivations and goals are clear. Han Solo wants to protect Leia from Vader. Yoda wants to teach Luke to become a Jedi. Boba Fett wants to collect a bounty from Jaba the Hutt. Lando wants to protect his people from the Empire. Luke wants to save his friends. And Vader wants to turn Luke to the Dark Side. We might not share these goals, but we do understand the motivations behind them. We relate to these characters because we relate to the value of goals. It doesn’t matter that the story takes place in space — what suspends our disbelief is the understanding that motivation is central to the human experience. Motivation is what founded the New World. Motivation is what landed astronauts on the Moon. It’s what gets us to work in the morning and guides us as parents. It’s the pursuit of goals that gives our lives meaning, be it the acquisition of wealth, or love, or family, or power. Do. Or do not. There is no try. As a therapist, I insist that my clients set goals. They get to choose what they are and it’s up to them to accomplish them, but good therapy cannot exist without clearly-defined goals. Often, I’ll ask a client what they want, and they’ll tell me that they want to “get better.” So together we seek clarification on what that actually means, because “getting better” means different things to different people. I often find that a correlation exists between emotional distress and a lack of clearly defined goals. So much of our anxieties stem from an inability to control the world around us — goals have a way of providing some semblance of order from the chaos. This seems to be true with some forms of depression as well. We’ve fallen into a hole, you see, and we can’t see a way to get out. Often, the simplest of goals provides focus that has a way of mitigating the hopelessness and despair. How do I get myself out of this overwhelming situation, they ask? The same way you eat a 10-ton elephant — one bite at a time. Goals promote mental health because goals promote direction. Without them, we just spin out of control without direction or purpose, indifferent to what we need to make our stories worth telling — kinda like those awful Prequels. As Yoda tried to explain to Luke, “Luminous beings are we. Not this crude matter.” There is a light that exists within us, and our charge is to provide it with direction.